OzHadou Nationals (OHN), Australia’s second-biggest fighting games tournament, is not running this year. Along with Battle Arena Melbourne (BAM) in May, the two are the most prestigious tournaments in the Australian scene. Across all the major games at both these tournaments some of the worlds top players can be seen, with names like Infiltration, Daigo, Mango, Dogura and JDCR all making appearances over the last few years. In 2016, both OHN and BAM were classed as ranking events for the Capcom Pro Tour (CPT). Players who competed earned points in both the global and Asian regions to have a chance at being invited to Capcom Cup at the end of the year. Being ranking events, not many internationals showed up. Only four made the trek for Street Fighter V at BAM with all of them coming from the Japan and Singapore. OHN 2016 saw a few more, but they were all once again limited to the Asian region. This changed in 2017 when BAM was elevated to premier event status and the floodgates opened. The international talent expanded with over 25 players coming to take the points. 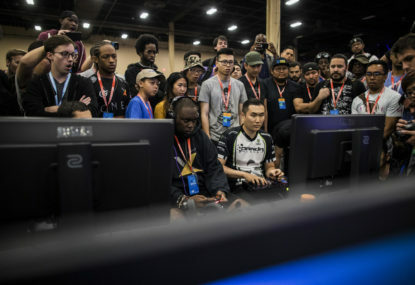 Premier events in the Capcom Pro Tour grant the winner a large number of ranking points to help them gain entry into the Capcom Cup finals at the end of the year. Obviously, this means everyone wants a piece of the pie with the countries on display expanding to Korea, China, Vietnam and America. Top players from all these countries played in a variety of games from Street Fighter to Smash Brothers, Tekken and BlazBlue. This lead a boom in fighting game players and spectators in Australia with everyone inspired after seeing high-level gameplay across all games featured. Moving into 2018, we can see new fighting games released throughout with one of these, Dragonball FighterZ, becoming the new ‘big’ game. Other releases included the cross-over BlazBlue: Cross Tag Battle and the newest entry into the Under Night series. Dragonball is an established and well-loved series, so with FighterZ being reasonably easy to learn, it became the gateway into fighting games for a larger audience. BAM 2018 was a shift of priorities in terms of fighting games. The Capcom Pro Tour format was changed around and it became a regional ranking event in the same way as OHN was last year. 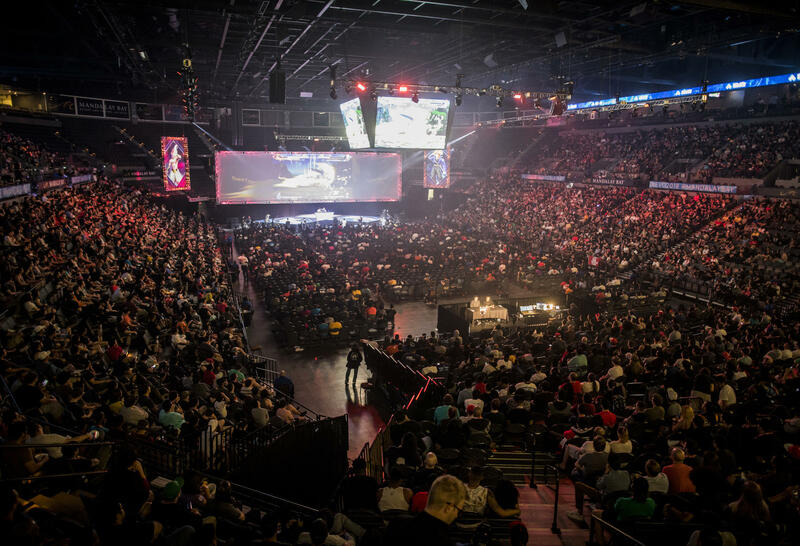 The Tekken World Tour came to town however and made its mark, with a lot of international challengers competing and broadcast talent hired to make it the best possible tournament it could be. As we come into the last quarter of the year, however there is no OHN to look forward to as a large event, which hurts fighting game players around the country. Going forward we also know that Southern Cross Challengers, another larger scale event held in December in Adelaide, is also not happening. This means the calendar is pretty bare for large events in Australia for the rest of the year. The Smash Brothers scene is also wrapping up their events in Smash 4. With Ultimate just on the horizon. Many players are winding down their activites and competitiveness until it releases in December. Are fighting games dying in Australia then? With no large events to look forward to and an entire scene slowing down in anticipation for a new game, people living in the moment might believe so. Tekken is performing well with hype for the world tour keeping players interested, same with Street Fighter and Capcom Cup. Dragonball FighterZ is drawing players in and introducing them to this world just fine. BlazBlue, Guilty Gear and other anime games have carved their niche and are sitting firmly in it. A new game in an established series is always tentative, especially Smash Brothers where they still hold Melee as a major tournament, but Ultimate seems to be well-received by players in the few sessions they’ve had with the game. So although the lack of major tournaments is disappointing, it’s not the end of the world for the FGC.